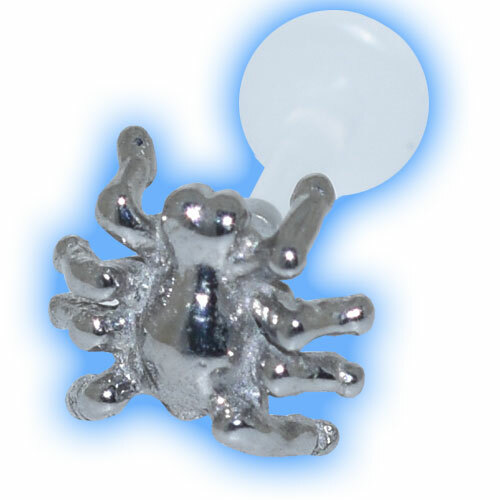 This Internal Bioflex Push Fit Labret Stud has a Cast Steel Spider attachemt that simply pulls out by gently twisting whilst pulling and then it pushes back in place. Available in 3 different thicknesses and several different lengths this versatile piece can be worn in many piercings such as labret piercings, monroe and ear piercings. "Came fast which was brilliant. Very pleased, so thank you very much." "superb, prompt delivery and good quality. As its titanium my piercing has finally healed in a couple of weeks, it was struggling with a surgical..."